Time to Make the Paper Donuts! 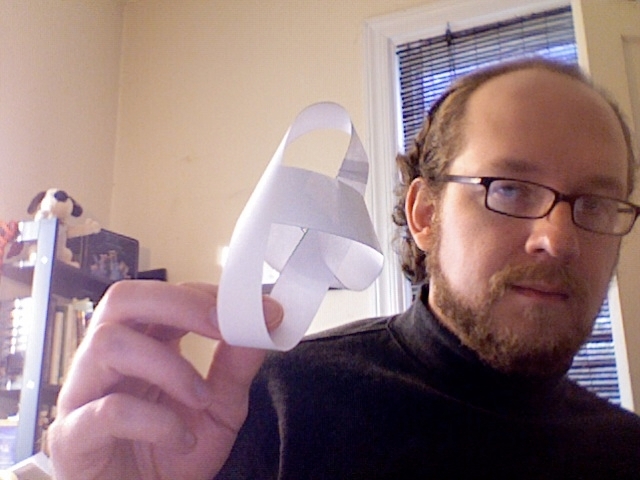 Template for a paper Klein bottle; click to get the full-sized image. If you print it, set your printer for landscape mode and make sure the image goes all the way to the edges of the paper for best results. A shape I brought up in the previous paper-topology post was the Klein bottle, which we have to cheat a bit to construct. The template for you to make your own is at the right. (If you want to print it, click to get the full-sized image and print to the edges of the paper for best results.) Cut along the lines to get a cross-shaped piece. With the long arms, put a half-twist in it to and tape like a Möbius strip. With the short arms, make a cylinder around the Möbius strip. You’ll have to use your imagination for the full shape, since the “real” Klein bottle is a fully two-dimensional surface that passes through itself. Making a Klein bottle: the long arm from the template is twisted back on itself like a Möbius strip, while the shorter arm is left as it is like a cylinder. A Möbius strip has only one side, which you can see by tracing along it: you’ll come back to your starting point as with a cylinder, but you’ll end up going all the way around the circumference twice. Similarly, the Klein bottle (whose construction is comixed in the image on the left) has no inside! 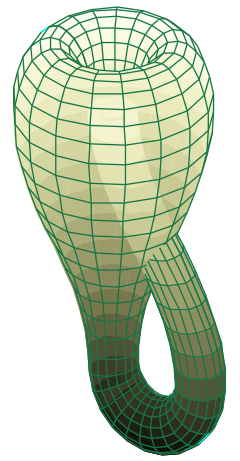 A cylinder has two surfaces—the inside and outside—but if you follow a path along the Möbius portion of the Klein bottle, you travel from the “inside” of the bottle to the “outside”. Using terminology from the previous posts, Klein bottles are not simply connected, and also non-orientable. 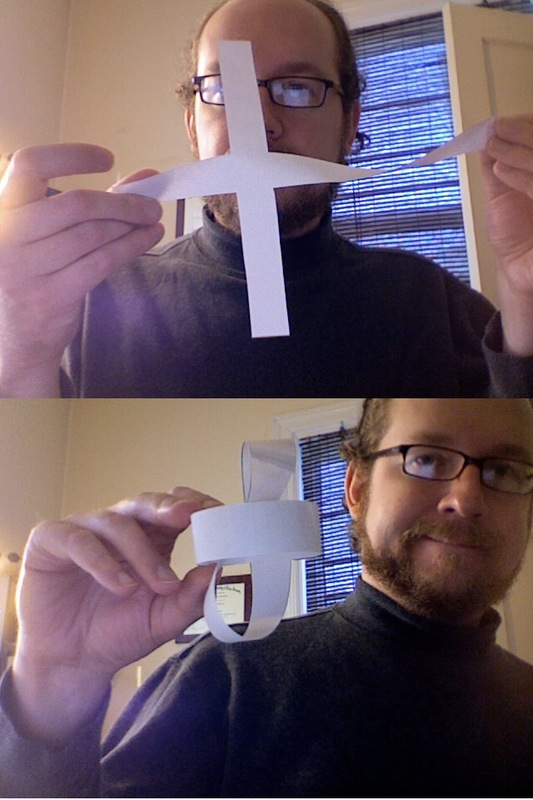 What happens if you make a Möbius twist in both arms of the cross before taping? This is results in something called the (real) projective plane. It’s even harder to visualize than a Klein bottle, but again it has no “inside”. 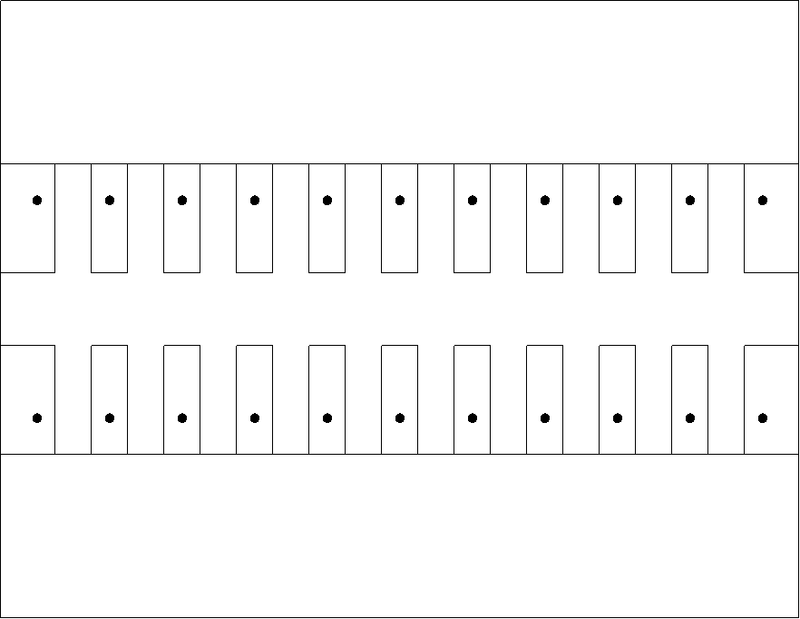 The projective plane, in paper form. It also has no difference in its “north-south” and “east-west” directions: traveling any way will bring you back to your starting point while tracing along the “circumference” twice. 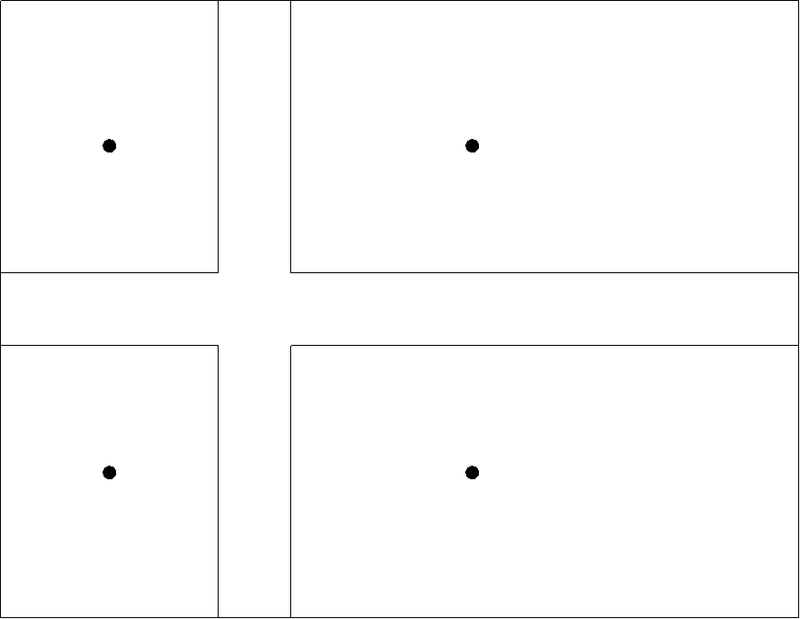 Explaining the name “projective plane” fully is a blog post in itself, but in brief: if you imagine a shape in three dimensions illuminated by a single point of light, the image projected onto a screen will be described mathematically by the projective plane. (That’s a hard concept to grasp, so please don’t worry if this quick description isn’t good enough!) 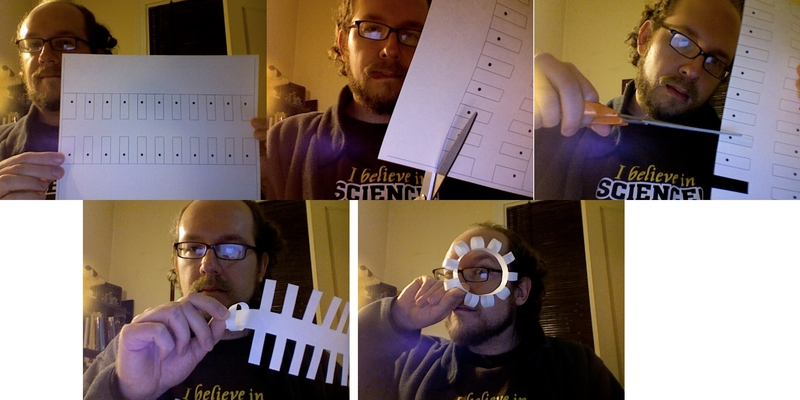 The image on the right shows my paper version of the projective plane. Template for a paper torus; click to get the full-sized image. If you print it, set your printer for landscape mode and make sure the image goes all the way to the edges of the paper for best results. Constructing a torus. If you can come up with a better design, please feel free to send it to me - I'm open to other ideas! I think I’ve caught up now with what I promised to do in previous posts on topology; the next post we’ll go back to the Experiments in Topology book and talk about some implications of all this stuff. I will also continue exploring why topology is relevant in physics, following up on the hints I dropped about black holes and electric charges. Stay tuned!